Ever since Trails of Cold Steel launched back in 2015, I had a feeling this series was special and was much more than your typical JRPG. 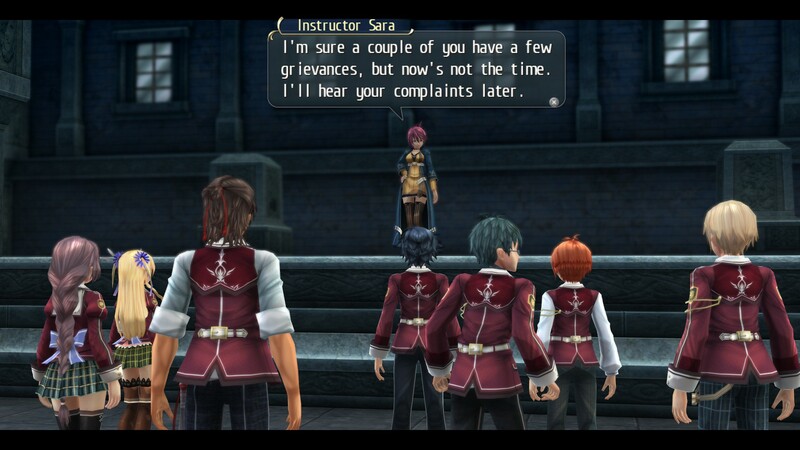 With the release of Trails of Cold Steel III later this year, I found myself revisiting Trails of Cold Steel yet again. But this time, it’s the PS4 release. If you’ve played the PC version of Cold Steel, you already know what enhancements this version has over the original versions: it runs at 60 fps and if you have a PS4 Pro higher than 1080p. The English dub has 5000 more voice lines, but more importantly, there is a turbo mode built in. The completely new thing to this version of the game is the addition of the original Japanese voices. If this is your first time hearing about this franchise, fear not. This one you can come in blind. The intent of this entry to advance the long-running story but to also attract new players. Of course, for long time fans of the series, there are some nods here and there. The start of Cold Steel brings us to the land of Erebonia. A land proud of its military might. So proud in fact that it has 5 military powers. 4 of which led by the nation’s most noble families with the 5th led by chancellor to keep the other 4 in check. 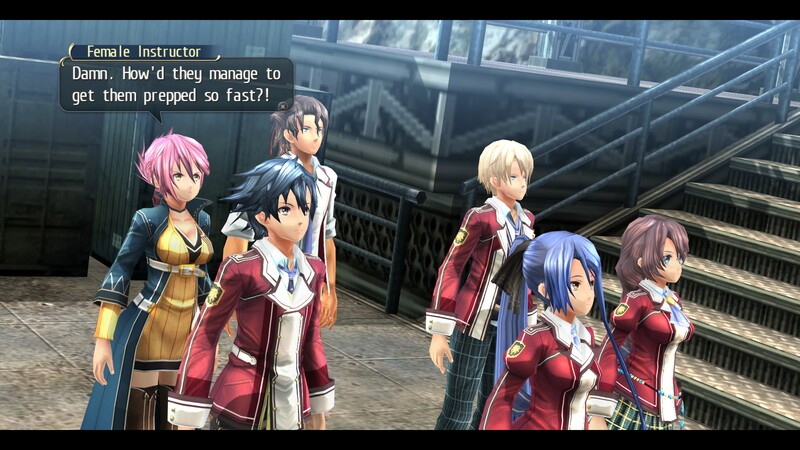 You yourself play as Rean Schwarzer. Not as someone in the military just yet, but is in Military school. Thor’s Military Academy is essentially the game’s hub world when going from chapter to chapter. From here you are a part of Class VII. The only class that has a mixture of nobles and commoners. Due to this, when you’re exploring the school and towns, it gives you a sense of just how classist how their society can be. Especially at school where unfortunately there is just no avoiding it. Each chapter is split into two sections. One section always takes place in the academy and the other takes place in wherever your field study is placed. During the school sections, there are a couple things that you have to do. On your free days, you can go around helping the student council (which is mainly helping students and people in town). Most of these things end up totally optional. The only real request needed to be done is usually asked by the principal himself. Those tasks aside, you bond with some of your classmates in a one on one session. These sessions actually vary quite differently from one another every time you bond with them. Some small character development aside, each one grants you Link Points and the closer they get, the more they help each other out in battle. In regards to field studies, these take place outside of school. Usually in a far away town or city and is where most of the story lies. The structure is more or less the same as when you’re helping out the student council. There will be some tasks that will advance the story and some that you can do optionally. These story advances are way more interesting than what’s going on in the school. Overall, the storytelling is the game’s best specialty with the overworld being its greatest craft. During your free time, try and talk to every NPC in the game and then talk to them again after some in game story time has passed. You’ll notice that their dialog has changed. And it changes after every story beat and is not repeated. Just like real life, everyone has their own story and you never know if you miss anything just because you didn’t speak to them. While I did just say the story is excellent, its pacing can be a bit problematic. In my one hundred hour playthrough of the game (don’t worry you can beat it in much less time if you don’t care about talking to NPCs and doing all of the extra stuff), the game is boring until chapter 3 or 4. With that being halfway through the game it can be a bit disappointing for some. At the same time though, the scale of each chapter gets bigger and bigger with each payoff getting better and better. There is a great story here. It’s just a matter of waiting for it to get to that point. Now onto combat. Battles are relatively simple. It’s your typical turn-based JRPG however things are a little different. Strategy is a must here as turn order can make or break a battle. As battles progress you or your opponent will receive a buff – be it more HP or the next attack being a critical hit for example. Looking at turn order of a battle you’ll know when it’ll be coming. But again, it’s up to you to work around it to your benefit. Every character has the ability to wield any type of magic. It’s all dependant upon how their equipment is outfitted to handle it. Everyone learns their own individual special abilities through leveling up. Using magic costs Effort Points and using those special moves cost Craft Points. Craft Points are mainly be obtained by taking damage or giving damage. There are items and spells that grant craft points, but they are few and far inbetween. When it comes to graphics there’s really not a lot to talk about here. It was originally a Vita game and it shows. As mentioned earlier, the game now runs at 60fps and supports resolutions above 1080p. But again, that’s just the raw horsepower of a console coming through. Due to the higher resolutions, some of the game’s flaws in the graphics department stick out a bit more. The music however is a completely different story. I will never get tired of hearing it. Enormous Inner Strength – the game’s final boss theme still puts a chill down my spine like no other game has. Meanwhile Afterschool Hours is incredibly relaxing. Of course, I’m not saying the entire soundtrack is perfect, but it’s incredibly fun to listen to. The game as a whole is still great. If you’re like me and have played the original release but missed out on the PC release and need a refresher for what’s to come this fall by all means, transfer your PS3/Vita save right over for some extra bonuses. If you’re new to the franchise, this is a great place to start. Posted on March 26, 2019, in PS4, Reviews. Bookmark the permalink. Leave a comment.